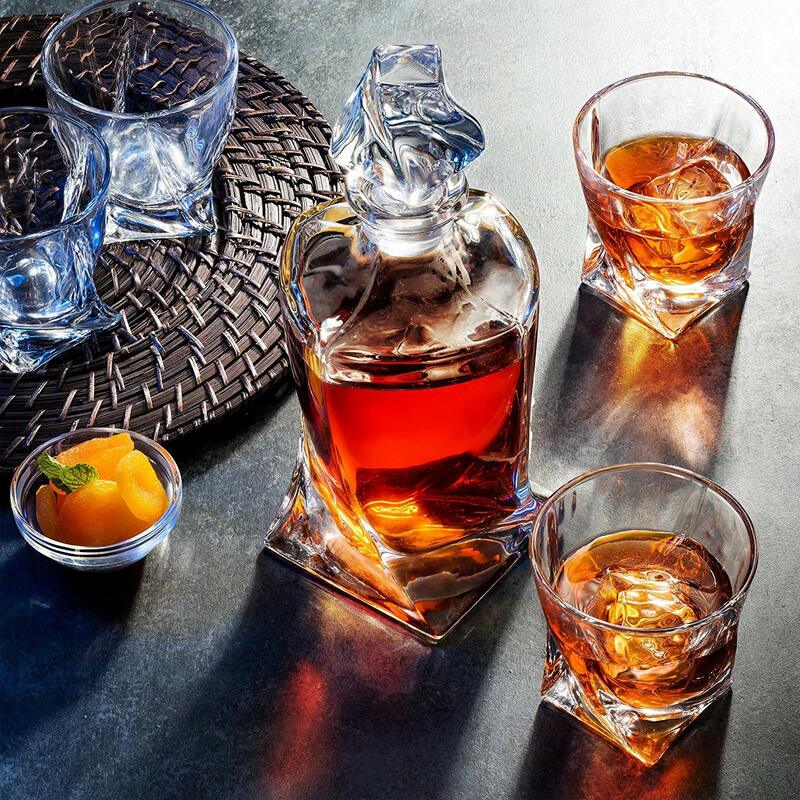 This elegant and unique Twisted pattern whiskey decanter set, classically designed with exceptional brilliance clarity, and weight into each piece, are a must have for the whisky connoisseurs and anyone else who appreciate the nobility of the spirit and wants to bring new luster to their house bar. club, or office. 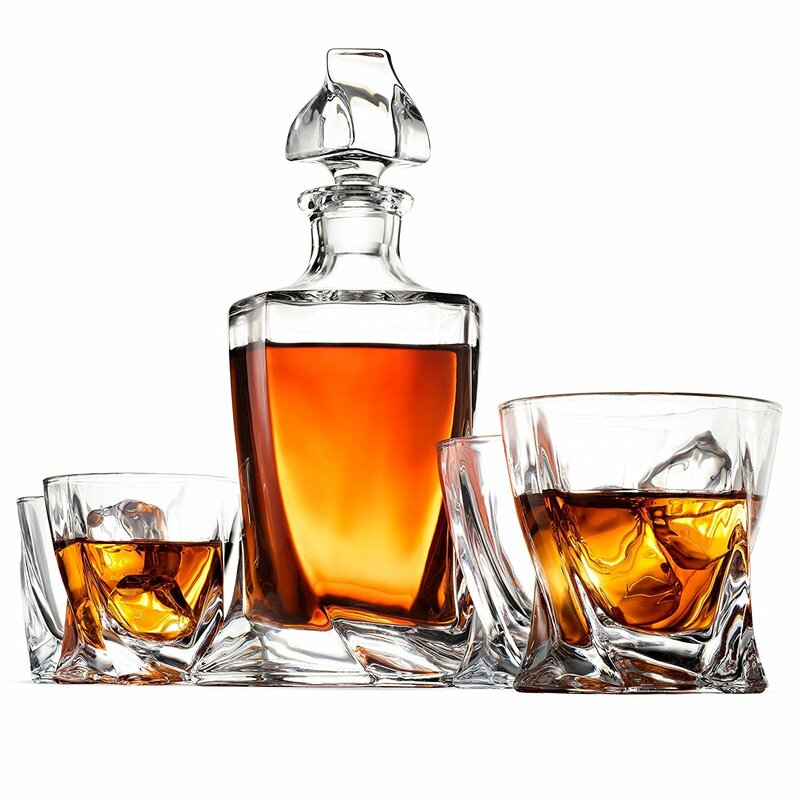 Whiskey decanter set includes a decanter and 4 double old-fashioned glasses, both its class and style makes it perfect addition to your home bar ware series. And will impress your guests next time you have a home celebration or a any formal entertaining occasions. creating understated style. 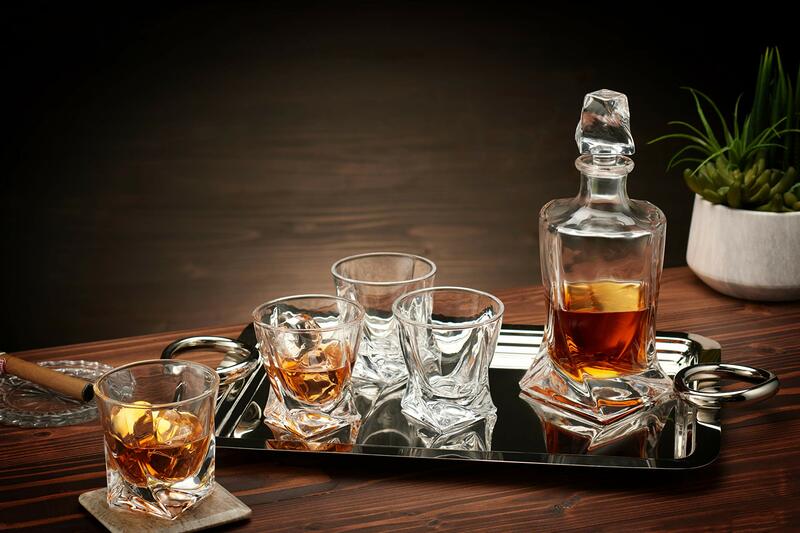 A rolled rim opening at the brandy decanter allows for smooth pouring. 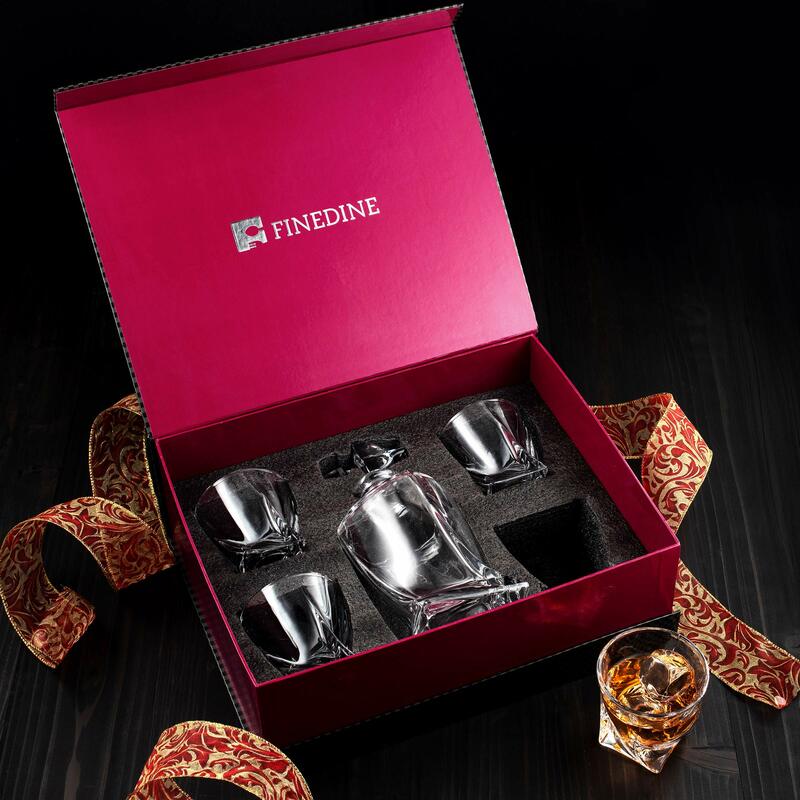 The base of the liquor decanter and DOF glasses are thick for shatter resistance and balance.This decanter with glasses set is dishwasher secure. 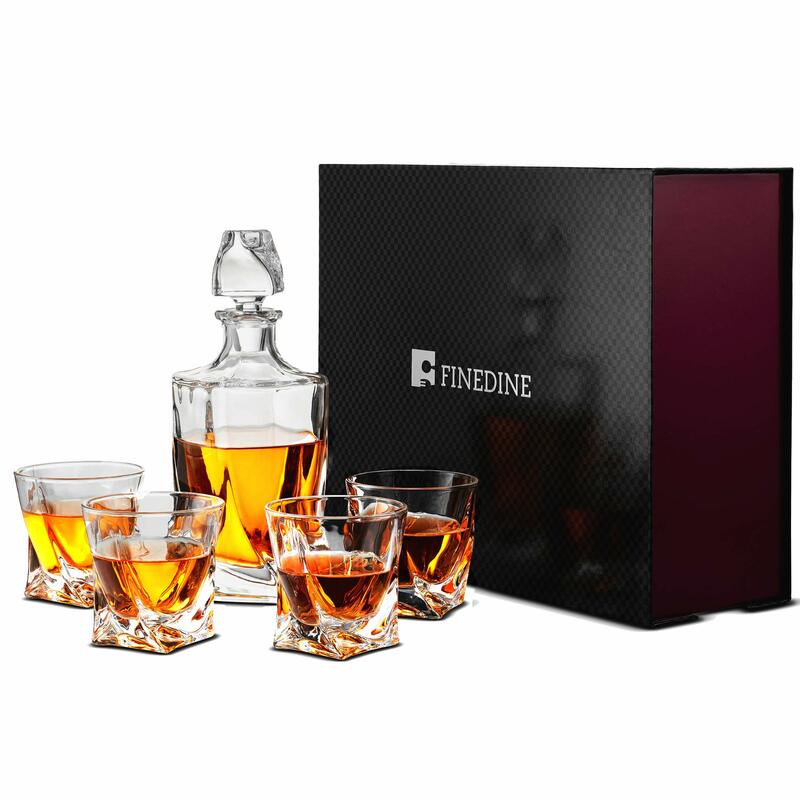 Decanter dimensions: 8.5″ height, 1.5″ diameter opening. 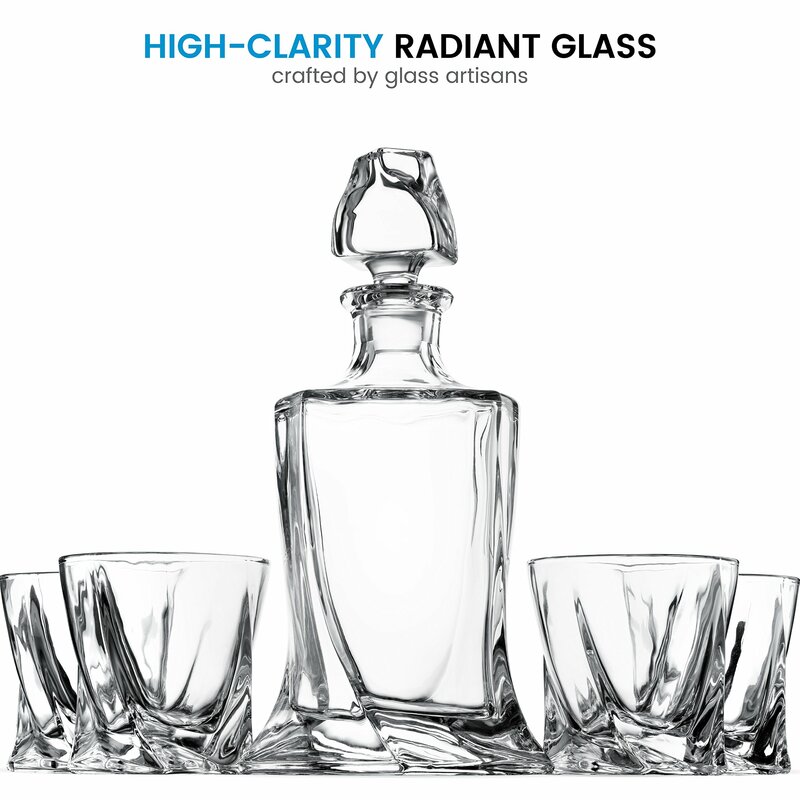 Whisky glass dimensions: 3 ¾” height, 3 ⅝” diameter bowl. Save 7% with this coupon. Enter code PONX9LYB at checkout.